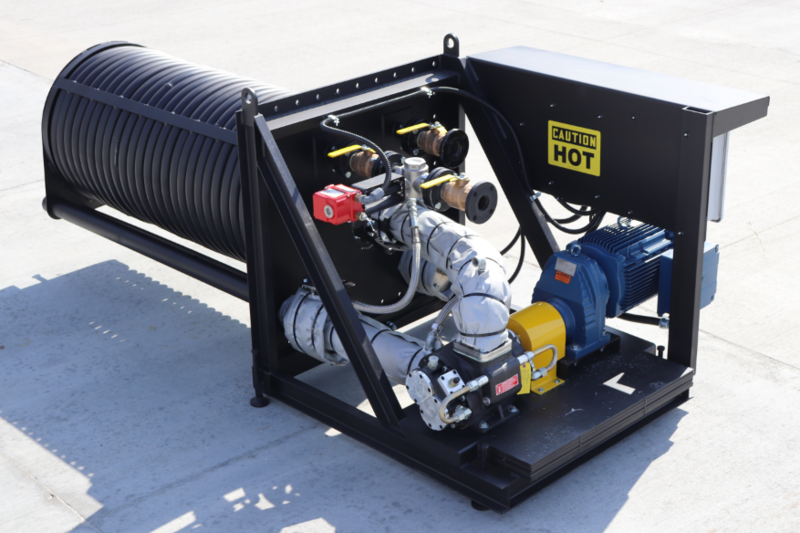 The ConVector™ Liquid Asphalt Heater / Agitator has a lower initial investment and significantly lower maintenance costs compared to conventional liquid asphalt tank heating/agitating systems. The key to the ConVector’s efficiency is its unique, patented design. 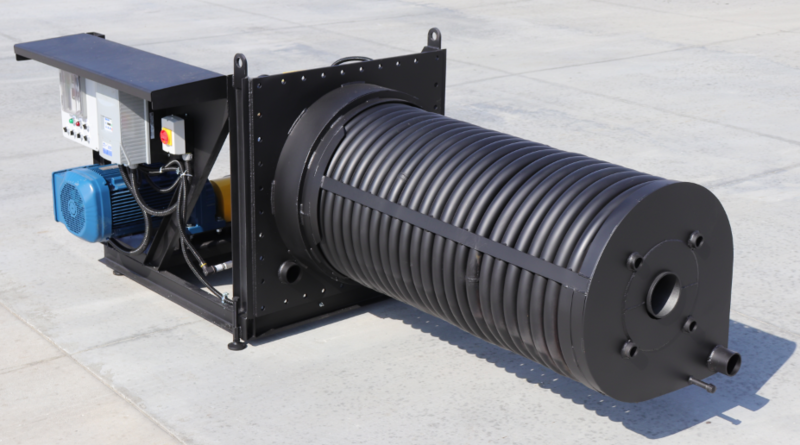 Its powerful siphon jet pump induces a high speed, high volume recirculating flow, continuously and uniformly blending the tank, while improving heat transfer through the coils by 500%. This means only 1/5 the feet of coils are required compared to conventional systems. The ConVector comes as a complete unit and is easily installed from outside the tank in either horizontal or vertical tanks, new or retrofit applications. Maintenance is much easier than conventional systems because the ConVector can be quickly removed for easy access to all components. There are no internal moving parts or submerged bearings to hassle with. Instead of climbing inside the tank to clean or repair heating coils you simply remove the unit.